No. 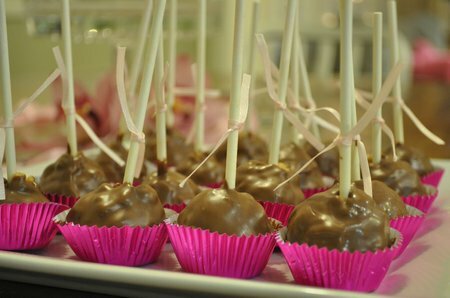 10 -Peanut Butter Chocolate Pops! Today is No. 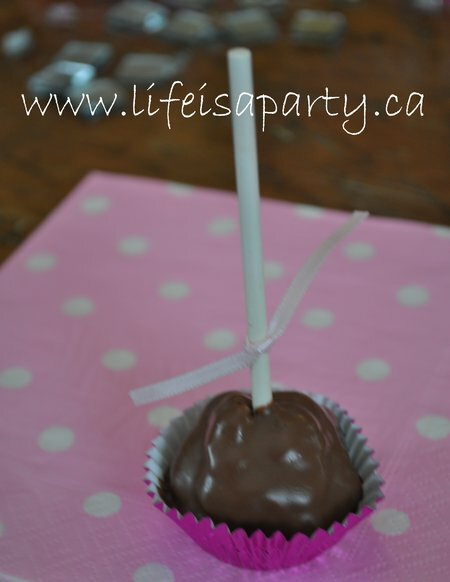 10 of my 10 posts on my 100 000 Hits Blog Party! 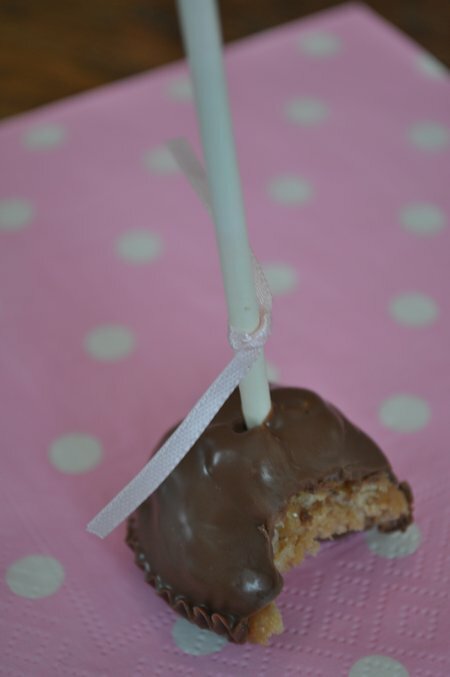 And…I saved the best till last; Peanut Butter and Chocolate on a lollipop stick, it doesn’t really get better than that does it! No. 8 -Let’s Keep This Party Going! My mom used to make these Peanut Butter and Special K bars when I was a kid, she called them Bedspring Bars. 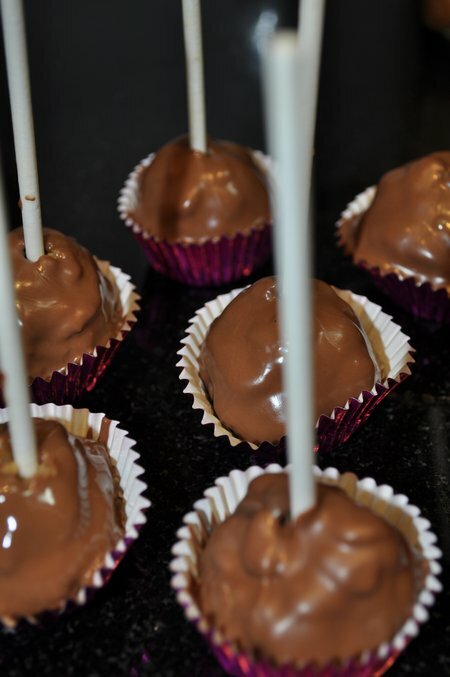 I haven’t had them in years, but with the popularity of cake pops, and any other dessert on a stick, I thought these would make awesome pops too. They turned out great, and I don’t think I’ll ever make them any other way again. 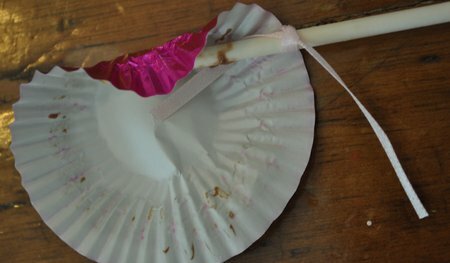 Here’s the recipe for you to try. 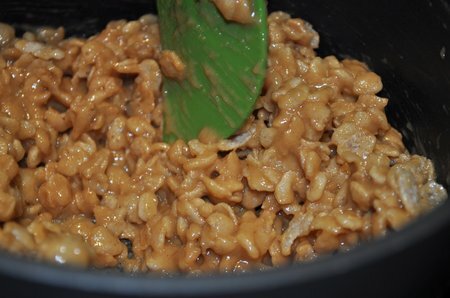 Dissolve sugar and corn syrup in a pan over medium heat, while stirring constantly. 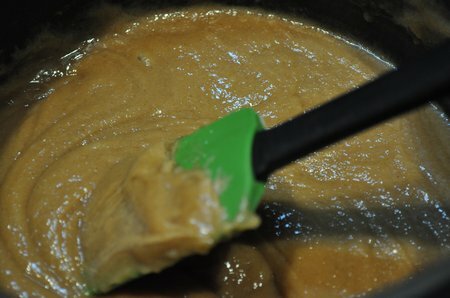 Add peanut butter and bring to a boil. Remove from the heat and stir in Special K until well combined. Let the mixture cool for a min. 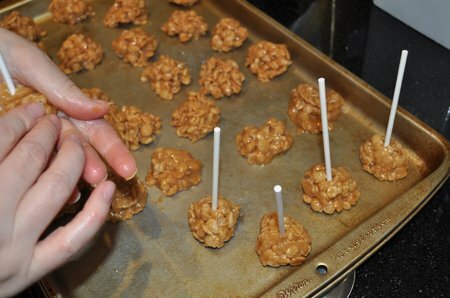 then drop teaspoon size balls onto a cookie sheet. 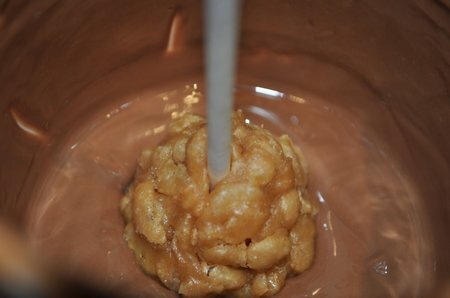 As the mixture cools, use your fingers to form a tighter ball, and insert lollipop stick before it is completely set. Refrigerate balls. 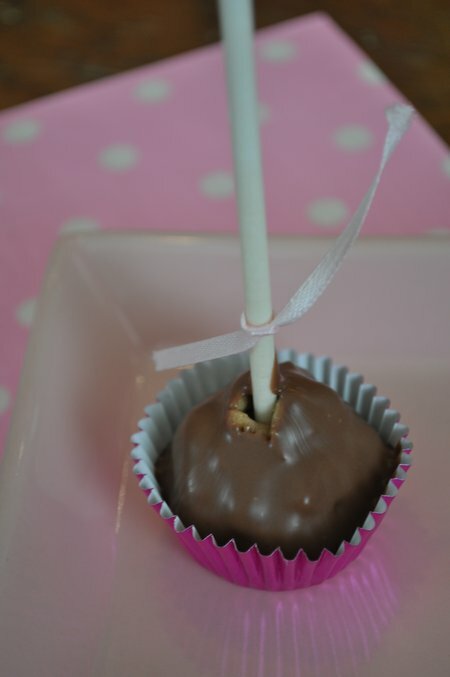 Melt chocolate, and insert peanut butter balls and cover completely with melted chocolate. 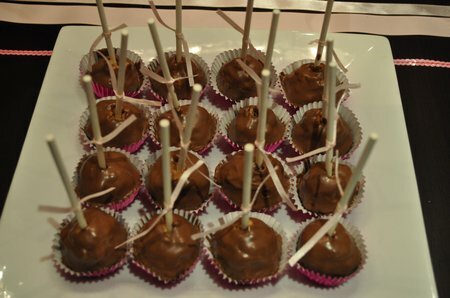 Place in the peanut butter chocolate pops in candy cups to cool. 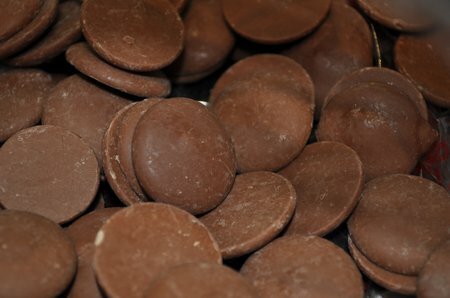 These peel off the set chocolate really easily when you eat them, and look so cute. These are the perfect bite sized treat. 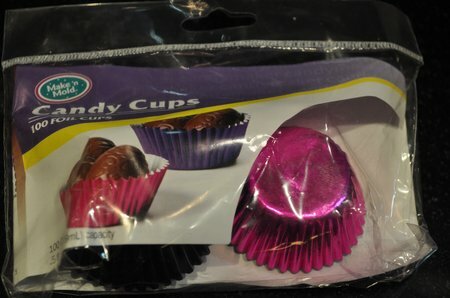 I think they’d be great for Easter, and plan on making a batch for my family. Life is a party, and you need to serve these at it! This post is linked up at Under the Table and Dreaming, The Girl Creative, Skip To My Lou, New Nostalgia, Blue Cricket Design, and Making the World Cuter. These look super!1 Congrats on 100,000 hits! !